Many people have valuable items in their homes and businesses that need protection. A safe can offer this protection, but not all safes are created equal. Consumers must understand what to look for so that they do not fall prey to unscrupulous marketers and manufactures that sell inferior, untested safes. Read on to find out what you need to consider when shopping for the right safe to store your important items and personal valuables. 1. The size of the safe is an important consideration. You need enough room to store all of your valuables, including cash, jewelry, paper documents, a personal gun and other items. Additionally, you need a safe that is heavy enough to make it difficult for a burglar to pick it up and carry it easily from your premises. Safes come in all different types and sizes, so select one that fits your needs. The smallest safe, a simple fire-resistant model, works well for people that need to protect documents and items that have personal meaning, but no monetary or other value to others. In fact, some experts recommend leaving these types of safes unlocked because they are not typically secured to anything, and also because of their small size. If a thief looks inside and sees nothing of value to him, he will leave the safe and your important papers behind. These small safes do not offer much in the way of true fire protection, however. 2. Weight is another feature you must consider. 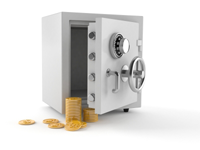 Many safes offer better protection simply because they weigh more. A burglary fire safe is made of heavy steel, and homeowners usually conceal these types of safes. To avoid safes from being carried off, many people locate them in the wall, such as the safe behind the oil painting shown in so many movies, as a standalone safe or recessed into a cavity in the floor. Many of these safes offer much better fire resistance, and they have thicker walls and doors. Before buying a safe, make sure you ask about its fire rating. Additionally, decide if you need shelving, drawers or compartment trays for jewelry and other valuables. 3. When looking to buy a safe, you will find some labeled “fire resistant” and others that are “fire proof.” What’s the difference? When enough heat is involved, virtually everything burns, making it difficult to truly call any safe “fireproof.” However, many quality safes can withstand up to 1,700 degrees Fahrenheit for up to 60 minutes. The average fire burns for around 20 minutes, at a temperature of 700 degrees Fahrenheit. Consequently, a safe with this level of fire resistance can actually provide the level of fire-proof protection you need. 4. What is UL? And What Does a UL Rating Mean? UL stands for Underwriters Laboratories, an independent, non-profit agency that issues ratings to inform consumers of the level of fire resistance for safes and file cabinets. UL provides safety testing standards for safes, given certain heat levels. The most common rating is a UL Class 350 One-Hour rating. This means that safes with this rating can withstand up to 1,700 degrees F for one hour. Keep in mind, that even if a safe says it has been UL tested, this is quite different from a safe that has actually passed the testing. 5. 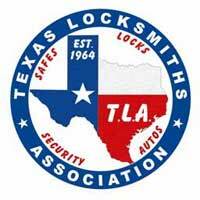 Consider the type of locking mechanism you desire for your safe. For over 125 years, people have relied on the tried-and-true combination locks to secure their personal valuables. Some safes also have a key-locking dial so that the owner can prevent access to the lock. The biggest advantages of combo locks are their proven success and the lack of batteries. Newer electronic locks provide convenient, quick access without needing keys or having to remember how to use a combo lock. Both combination and electronic locks are rated by UL and provide a high level of security. Some people choose to retrofit their existing combination lock safes with keyless electronic locks. In most cases, the combination locks should not have their combinations changed. The electronic locks, however, offer easy combination changes without any special tools or training. If the batteries wear out in electronic locks, your security code is saved to a memory chip, and once you insert new batteries, the stored code will still work. 6. The thickness of your safe’s door and walls are of paramount importance. Some marketers try to sell safes that have a long list of “safety” features to disguise the fact that they are constructed of thin, low-quality materials. For example, many safes have a UL rating of TL-5 for a Residential Security Container (RSL). This tells consumers that the door and walls of the safe can withstand approximately five minutes of beating from a man wielding a small crowbar and hammer. These safes offer a very low level of protection, and usually have steel that is a very thin gauge, or thickness. The minimum level of good protection starts at a Class B rating, which offers a door of 1/2 inch solid steel, with 1/4-inch solid-steel walls all around. 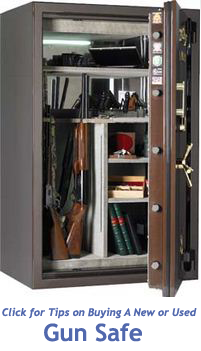 This safe can easily withstand many hours of torture from amateurs with a hammer or crowbar. Other ratings include Classes C, E and F. Class F safes can withstand at least 1/2 hour of attacks by professional safe crackers that have the safe’s blueprint along with a full range of attack methods and tools. 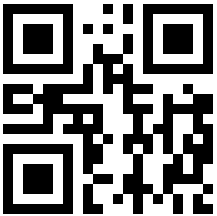 As you can probably see, buying a safe involves some specific knowledge and an understanding of your protection needs. 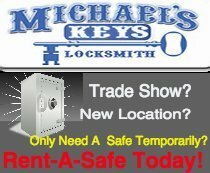 Along with the tips above, make sure to shop for your safe through a reputable dealer that can answer all of your questions and help you gain further education on the best safe to protect your valuables.